Harcourts Select has just opened in Boroondara. Brett Philipp has been servicing the real estate needs of the local neighbourhood for over 20 years. He is extremely excited to have joined Harcourts where he can now add the listing technology, world class training and support of the Harcourts worldwide network to the honest and personalised service he has always provided his clients. Specialising in Residential and Commercial Sales and Leasing, you will benefit from the experience and determination that Brett and the team at Harcourts offers. The Harcourts network has more than 780 offices with over 6,000 team members of every culture across the globe. With these expansive connections we can tailor your marketing to maximise results be reaching potential buyers from all around the world. Brett has worked in and around the Boroondara & Whitehorse municipalities for 25 years. He is passionate, determined and single minded about providing informative and responsible real estate advice with a sense of humour and understanding of the pressures and stress that a real estate transaction can create. Brett's aim is to alleviate the concerns and provide the answers and the solutions to enabling you to transact your property with the least amount of fuss and bother and ensuring that your bottom line is maximised wherever possible at all times. By joining Harcourts he is able to marry this passion with a leading franchise group with offices right across the globe. 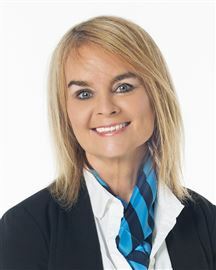 Sue is an integral part of the Harcourts Select team since she started as an administrator. She demonstrates outstanding organisational skills combined with a solution-oriented method of operation with great initiative and always seeks to create the best outcome for her colleagues and clients. Property, real estate, and housing design have always been a keen interest of Sue’s. Working within the real estate industry is the perfect opportunity to continue to grow Sue’s passion whilst gaining invaluable experience and qualifications she will have for the rest of her life. Sue was drawn to Harcourts because of its well established reputation as a premium real estate agency that offers great career development opportunities. Having lived in Balwyn for the past 16 years, Sue understands the desire of many people drawn to the area which is well known for its high quality family lifestyle and many leafy streets, making it one of Melbourne's most exclusive suburbs. She enjoys the warm sense of community it has to offer and encourages others to explore the real estate opportunities in the area. Ambitious, trustworthy and exhibiting a relentless determination to explore every possible avenue on his clients behalf. 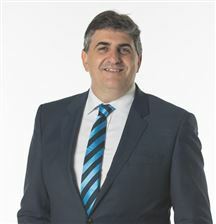 Adrian Stefanetti as a reputation for exceptional custom service and local market knowledge of the City of Boroondara during his past 13 years of real estate sales, he has managed hundreds of transactions from prestige properties to apartments. Adrian is both courteous and empathetic in his approach to business. Combined with a high standard of honesty, integrity and enduring patience, Adrian has proven skills and attributes that make him an excellent negotiator. His outstanding communication skills are further enhanced by his ability to converse in Italian. He is a vital part of the diverse team at Harcourts Surrey Hills. Adrian is family oriented, and his supportive wife and beautiful daughters Jessica and Jasmine bring immense joy to his life. When Is An Apartment A Unit?